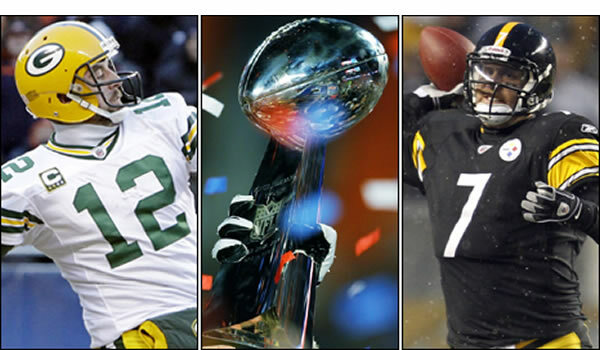 Today sees Super Bowl XLV, pitting the Green Bay Packers against the Pittsburgh Steelers. It’s no surprise that the Packers are back in the final – they have won more league championships than any other team in the NFL. On the other hand, however, for the Packers to still compete at the highest level at all is incredible. They are the last remaining “small town team” at the top of American Football. Green Bay is a city of just 100,000 people, located at the less populated end of a backwaters state, Wisconsin. Share ownership is widespread, no one owner may own more than a certain amount, and the redemption price is minimal, with a guarantee that if the club were sold, the beneficiary would be a charitable foundation. Share ownership brings voting rights and election to the board but no benefit in terms of season tickets and minimal dividend. The Packers are the only American major-league sports franchise to release its financial balance sheet every year. Clubs happy to change their names and relocate, leaving behind generations of loyal fans to increase television audiences and merchandise sales. Outside the US and UK, mass ownership of sports clubs is not unusual, and is not at the expense of sporting success either. Barcelona, Real Madrid, Bayern Munich and Boca Juniors are football teams of the highest order, run democratically by their fans, with elections of often higher profile than for city mayor or national assembly. In the Bundesliga, famously, a minimum of 51 per cent of the club must be owned by club members, i.e. fans, still allowing private investment but ensuring that supporters have the greater say over their club. It is by no means a panacea but can be insulation against mismanagement and the whims of individual owners or commercial interests. The English Premier League is some way behind this model but Supporters Direct are working hard to boost the ever growing number of supporters trusts, an army of fans organised on co-operative lines to increase supporters’ involvement and community ownership in UK football. Trusts can be found at more than 160 clubs, with more than 120,000 people and providing £25 million of new funding into the game; 15 clubs are owned or controlled by their trust and more than 110 have some ownership. There’s a long way to go in improving the accountability and proper management of professional sport on either side of the Atlantic, but the success of the Green Bay Packers, regardless of whether they manage to beat the Steelers tonight, shows that there is a better way. « Have the leadership candidates been co-operating?